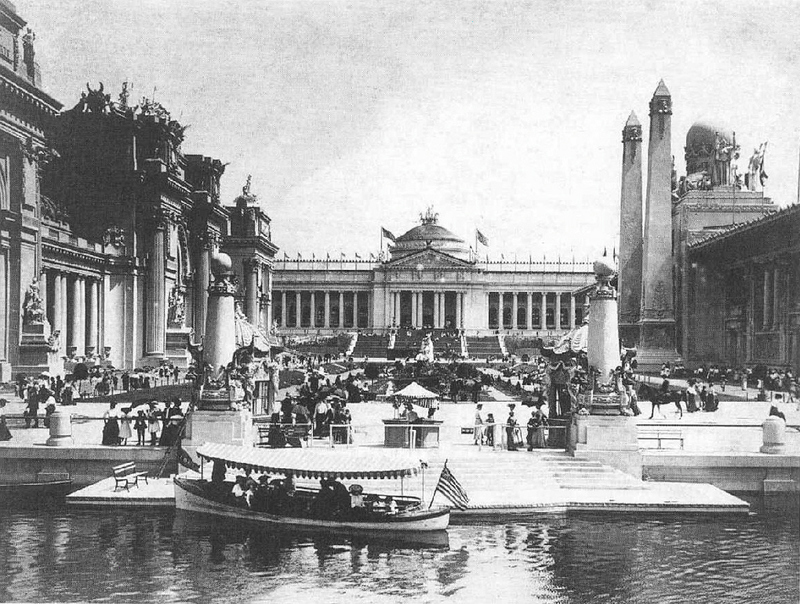 Have you ever wondered what it would be like to personally experience the 1904 World’s Fair? Karl and Margie Kindt, along with the 1904 World’s Fair Society, will present the glass plate negatives of William H. Rau, alongside one of the most detailed firsthand descriptions of the Fair’s marvels provided from the journals of Laura Merritt. The presentation will take place this Thursday, October 12, at 6:30 PM. During the Louisiana Purchase Exposition, William H. Rau, managing director of the company authorized as the Fair’s official photographer, employed more than one hundred cameramen to record not only people, places, and events, but even the construction that preceded the opening of the Fair. Thousands of Fair photographs were printed from the company’s glass plate negatives, but thousands more of the official plates were unprocessed and sent the the St. Louis Public, where they lay dormant in little wooden boxes for several decades. After his Aunt Laura’s death, Merle Merritt found a handwritten journal bound in red leather in his family’s attic. It’s title was “A Few Things We Saw, Heard, and Did While at the World’s Fair, by Laura Merritt. Seventy-five years earlier, Laura was 19, and her family made the pilgrimage from Iowa to the Louisiana Purchase Exposition in September, 1904. Though there are many personal accounts of the Fair, none compare to the scope, liveliness, and personal detail of Laura’s rendition. Laura penned what may be the most personally detailed and endearing journal of the Fair. Laura owned no camera in 1904, but by coincidence, Rau’s plate glass negatives were uncovered around the same time as Laura’s journal. Linking Laura’s lively, captivating written words as the narrative with high-definition projections of rarely-seen glass plate images from the Fair, the Kindts will zoom in and observe more details than a Fairgoer who actually walked the grounds, showing off minutiae that Rau and his photographers themselves could never have distinguished.